One may argue that Dennis Morgan and Humphrey Bogart should not be listed as a movie team; their screen collaborations, after all, occur in only four films . . .
. . . and almost entirely in the form of very brief scenes together or no shared scenes at all. To confound matters, rumors persist that Mr. Bogart, as well as the entire cast of The Maltese Falcon (1941), shows up briefly in a group of extras in a roadhouse scene between Bette Davis and Dennis Morgan from In This Our Life (1942), but these rumors are just that: rumors. In any case, it is no rumor that joint appearances of Humphrey Bogart and Dennis Morgan do occur in at least the four movies listed above. 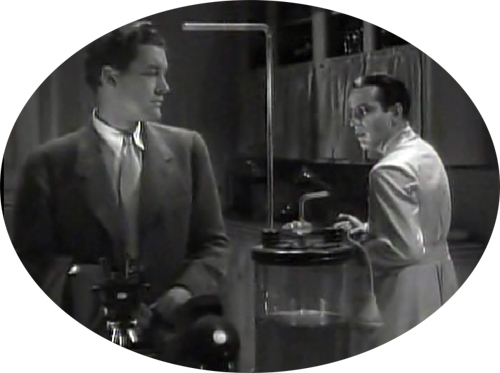 And in the 1939 Return of Doctor X, a sequel to 1932’s Doctor X, both actors share substantial and simultaneous screen presence. It is true that in Thank Your Lucky Stars (Warner Bros. first all-star war effort, which preceded the studio’s 1944 Hollywood Canteen) Mr. Morgan and Mr. Bogart only appear in separate scenes, but in Always Together they appear together briefly, albeit in separate and rather tongue-in-cheek takes, as part of a movie within a movie. Mr. Morgan, by the way, gets the girl to the altar and Mr. Bogart (outside in the rain) does not. 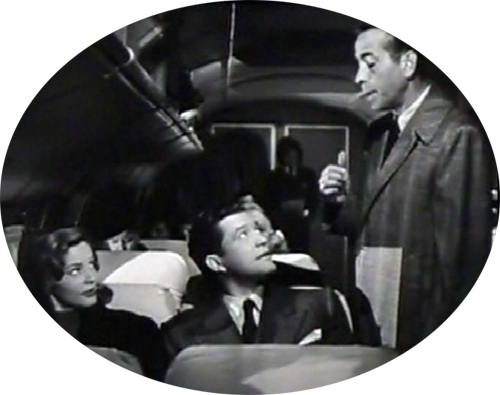 In Two Guys From Milwaukee, Mr. Bogart is also relegated to a cameo appearance (Mr. Morgan is not, being one of the two titular ‘guys’, Jack Carson being the other), this time as himself playing his typically tough-guy persona, but, this time, in his scene with Mr. Morgan (yes; they do appear together and in the same take) he’s the foil to Mr. Morgan’s advances toward Mrs. Humphrey Bogart, a.k.a. Lauren Bacall.